Blowout Sale! Free Shipping Included! 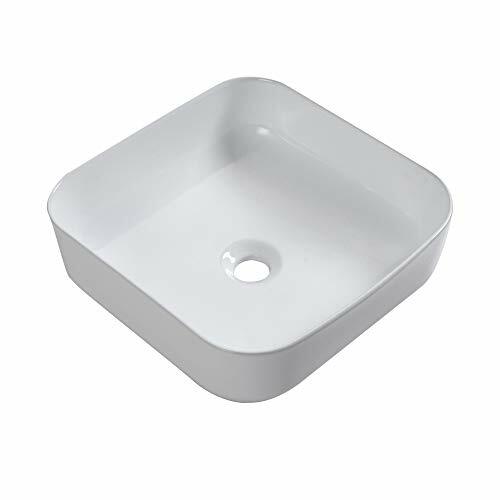 Save 71% on the Sarlai 15''x15'' Modern Square Above Counter White Porcelain Ceramic Bathroom Vessel Vanity Sink Art Basin by Sarlai at Wakaf Center. Hurry! Limited time offer. Offer valid only while supplies last. From the Manufacturer Sarlai is a design, production, and sales company which devote to providing the best service on kitchen and bath products. Above the counter installation, Fit 1-3/4" Center Drain Hole. If you have any questions about this product by Sarlai, contact us by completing and submitting the form below. If you are looking for a specif part number, please include it with your message.